"...Once again, Willow Rose had me running in circles trying to figure the plot out." Mads and Signe are very young when they get married. They are ready to take on the world starting with their honeymoon to Egypt. Two years later, Mads is in a coma, and Signe has vanished from the face of the earth. Meanwhile, Emma Frost is looking for her daughter whom the police believe is guilty of the hit and run that left Mads Schou brain dead. However, was it really an accident, or is there more to the story than they first thought? Emma believes so but can't convince the police. To help her, Emma receives help from a couple many of Willow Rose's readers will recognize. 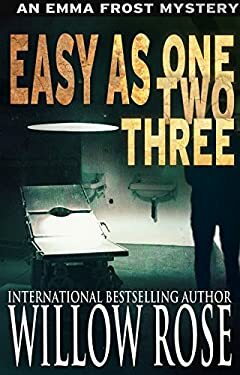 ËƒËƒËƒ Easy as One Two Three is a spine-chilling mystery not for the faint of heart. It is the seventh in Willow Rose's popular Emma Frost-series.